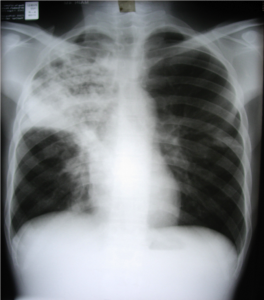 Tuberculosis (TB) is a major global killer responsible for ~9 million new cases and 1-2 million deaths per year. It remains the leading cause of death of young adults in developing countries. Rising drug resistance, HIV co-infection and long treatment periods mean new regimens are urgently required. However, the development of novel compounds for TB is hampered by inaccurate prediction of clinical effectiveness by currently available laboratory methods. New integrated methods should rapidly transition novel compounds within a new combination regimen in order both to shorten the duration of treatment and combat multi-drug resistance (MDR). While a single TB drug development program might take 5-8 years, developing a drug regimen sequentially might take at least 20 years unless we adopt this new approach. 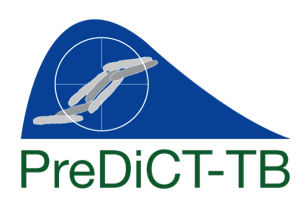 Therefore PreDiCT-TB aims to improve the predictive power of pre-clinical methods in order to hasten the delivery of new regimens. This truly translational project is critical if we are to bring new regimens to patients in a timely fashion. The intensive use and misuse of antibiotics have resulted in antibiotic resistance among many human pathogens and there is a growing concern that the loss of therapeutic options will present us with a post-antibiotic era where present and future medical advances are negated. Resistant bacteria dramatically reduce the possibilities of treating infections effectively and increase the risk of complications and fatal outcome for patients with severe infections. Thus, antibiotic resistance represents a major public health concern and economic problem both within EU and globally. The main aim of this proposal is to describe and predict the dynamics of antibiotic resistance development at the level of the drug target, the microbe and the host. Presently we do not know how to reduce or reverse the development of resistance, since current knowledge about the mechanisms and evolutionary constraints that drive the emergence and survival of resistant strains is scarce. In addition, the lack of knowledge means that we do not know how the various parts of the puzzle fit together, i.e. how do we connect antibiotic use patterns –> bacterial resistance mechanisms –> bacterial physiology and fitness –> bacterial survival within a host –> bacterial spread between hosts. This project aims at generating the knowledge needed to answer this question by developing novel conceptual and experimental approaches. We will also explore several approaches both with regard to new principles for rationally choosing drug targets and drugs with minimized risk of resistance development. A key requirement for successfully performing the described experiments is bacterial strains that are genetically and physiologically well-defined. The applicants have generated an extensive collection of resistant mutant strains ofSalmonella typhimurium, Escherichia coli, Staphylococcus aureus, Pseudomonas aeruginosa, Mycobacterium tuberculosis and other bacterial species that are well-characterized with regard to genetics and resistance mechanisms. We will use a defined set strains to perform the in vitro and in vivo experiments. Among the various antibiotic classes we will examine fluoroquinolones, beta-lactams, aminoglycosides, macrolides, deformylase inhibitors, fusidic acid and rifampicin. We expect that the results produced in this project should provide knowledge and insight of general nature applicable to virtually any combination of bacterium and resistance. Generate parameter values for most of the bacterial factors we expect to be important for resistance development. Generate new understanding of how different levels in the pathways leading from drug sensitivity to drug resistance and high fitness are integrated. Provide the experimental knowledge required to model and perform risk assessments for the development and spread of antibiotic resistance. Provide the knowledge base required to develop novel diagnostic test systems for bacteria and drugs with a high risk of resistance development. Develop different approaches to measure bacterial transmission between hosts. Generate strategies to reduce the rate of resistance of development by exploiting novel drug targets and drugs. Create predictive tools for industry and regulatory agencies for pre-clinical and clinical development of novel antibiotics. Perform risk assessments for the development and spread of antibiotic resistance. Develop novel diagnostic test systems for bacteria and drugs with a high risk of resistance development.